When you arrive at Coolangatta Airport on a domestic or international flight, you can be confident that CitiCar Coolangatta Airport Transfers will have your airport transfer completely under control. The airport itself is located in a prime position, just over the Queensland border from New South Wales. The recent redevelopment offers all visitors a range of facilities, which are sure to make the start of your visit to the region pleasurable. Whether you are in town on business or pleasure, you can take advantage of a variety of dining, fashion and shopping experiences along with plenty of Duty Free Stores before you even step foot outside of the terminal. Whether you plan to head north up the coast of Queensland, or south into New South Wales, you can be guaranteed that your Gold Coast limo will be awaiting your arrival and your car will be in pristine condition. Airport transfers from Coolangatta have never been more affordable or enjoyable. From the moment you pre-book your Gold Coast chauffeur driven car, your driver will have the route to your final destination already planned out and be monitoring your flight before you land. Nothing is left to chance. Greeted in a professional and courteous manner, your driver will ensure your luggage is collected promptly. Before you know it, you’ll be seated in a luxurious, impeccably clean vehicle, ready for your private Coolangatta airport transfer. Whether you are travelling alone or in a group, you can be confident that all of your needs will be met. There is no need to worry about being late either. Each driver understands exactly how to navigate the suburbs and streets, particularly in peak hour traffic and will always have a number of contingency plans available should there be unexpected delays. Ensuring you arrive to your meeting, conference or your accommodation on time, every time, is a promise and a guarantee. 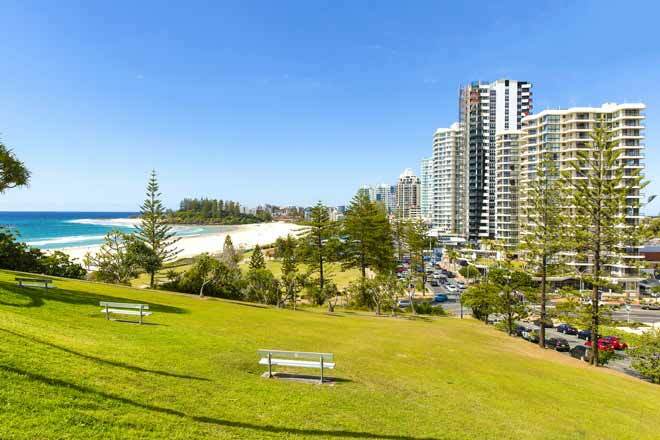 Also known as Gold Coast Airport, Coolangatta Airport offers passengers a wide range of transport options including local bus, taxi, and tourist shuttle, just to name a few. There is also a train service to Brisbane however that is only accessible from Robina train station and to meet this service you need to catch a bus; this trip alone could take you upwards of 2 hours. The only way to take control of your Coolangatta Airport transfer and to ensure you source the most cost effective, flexible and efficient transport route, wherever you want to travel, is to choose CitiCar. There really is only one way to travel, particularly when you can sit back in the lap of luxury and have the option of taking a scenic route if you have the time or the most direct route to your destination. Surfers Paradise is one of the most popular tourist areas on the Gold Coast. Best known for its gorgeous beaches, sun, surf and shopping, this region offers visitors plenty to see and do. It is as popular with tourists as it is with those on business. A short 30-minute drive north by private car from Coolangatta Airport to Surfers Paradise is nothing short of pleasurable. When you are on a tight deadline, your driver will use their intimate knowledge of the streets and be able to ensure you arrive to your destination safely and on time. For those instances when you have just the right amount of spare time before you are expected to arrive for your meeting or conference, ask for a scenic route and enjoy everything the coast has to offer. If you are scheduled to head further north, CitiCar Coolangatta Airport Transfers will have you in Brisbane in just over one hour, much faster than the local bus and train option. Your comfortable trip will have allowed you the perfect chance to prepare for your business meeting, or catch up on last minute phone calls. And if you are travelling in a group and are in one of CitiCar’s large people movers, you’ll all arrive at the seminar or your accommodation together. No more waiting for colleagues to turn up via separate taxis or cars and no more cramped transportation. Looking to head north, past Brisbane towards the Sunshine Coast? That’s not a problem either. Organising Gold Coast limo hire direct from the airport to transport you in a stress free manner will ensure you not only arrive safely, but you can travel to a timeframe that suits you. With extra time up your sleeve, a tourist scenic route will see you enjoy far more than what you would if you were on a regular shuttle bus, limited to a fixed route and tight schedule. Being able to stop at a quaint town or for lunch whenever you want to is exactly the flexibility that CitiCar prides itself on. When you are greeted by your driver at Coolangatta Airport, it is comforting to know that your private car can also transfer you south to Byron Bay in well under one hour. Perfect beaches, great surf and beautiful scenery are just part of Byron Bay’s attraction. If you have some spare time before you are required to be at a work meeting, conference or check into your Byron Bay accommodation, consider taking a longer route and enjoy some of the popular tourist points along the way. Stop over at Tumbulgan for a snack, visit the rainforest exhibit in Murwillumbah or drop in to Brunswick Heads for some of the freshest fish and chips in town. Or if you prefer, stay seated in your car and leave your travels for when you set foot into the heart of Byron Bay. CitiCar not only provide a range of premium vehicles to all who choose to travel in style, but we know exactly what it takes to make travel that much more enjoyable. Don’t waste time lining up in a taxi queue, sitting waiting for a shuttle bus to arrive or working out which car hire company is going to offer you the best deal. With fixed prices and guaranteed service every time, you can rely on CitiCar’s professional team of drivers to deliver you from door to door safely and in comfort. There’s nothing worse than arriving late to meet clients or colleagues because you haven’t been able to navigate Queensland’s streets from the airport to your destination. From your arrival gate to wherever you plan to go, whether it is north or south of Coolangatta Airport, CitiCar will ensure seamless travel for all passengers on board. Your clock-watching days are over, as every Coolangatta airport transfer begins and ends with complete customer satisfaction. All CitiCar drivers are trained professionals, and pride themselves on making sure that they take care of all of the small details. When seated in a BMW or large people mover you can choose to make private phone calls, complete work or simply gaze out of the window before your big meeting. Then, when it is time to head home, you don’t need to worry about whether you will make it back to Coolangatta Airport on time. Your pre-organised CitiCar driver will collect you from your location in Byron Bay, the Sunshine Coast or Brisbane, and get you to the airport early, relaxed and ready to take on whatever your agenda holds. If you want reliable and on time airport transfers from Coolangatta, choose CitiCar every time. 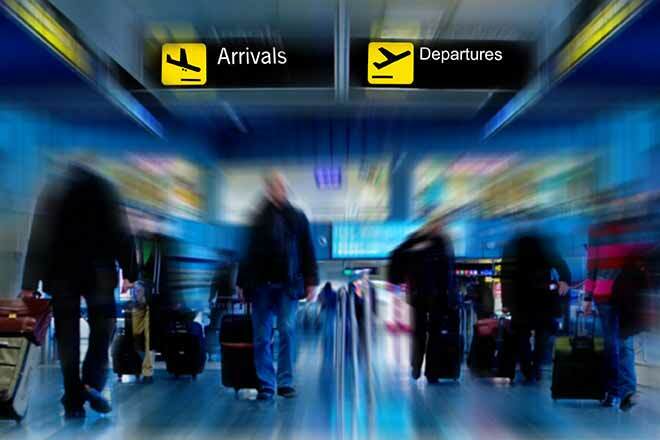 Forget about the traffic and the stress normally associated with getting to and from the airport. All professional Coolangatta airport transfers give you time to read a book, take a nap or simply take in the sounds and sights of the scenes on your journey. And if you want to stop over along the way or have a special request, all you need to do is ask. All chauffeurs are courteous and ready to service your needs. With a great knowledge of local suburbs too, you may even get a little history lesson along the way. CitiCar has the perfect fleet of cars suitable for all Coolangatta airport transfers. Whether your trip to Queensland is for business or pleasure with family and friends, there really is only one way to ensure your visit is as comfortable and hassle free as possible. Call CitiCar today or book online and enjoy fixed prices and guaranteed pickup. Choose from a range of premium cars or large people movers to best suit your travel requirements and lock in the date of your arrival at Coolangatta airport. Your Coolangatta airport transfer will never be the same again! Make sure you ask about CitiCar’s corporate accounts, too. Offering flexibility and easy bookings for those businesses who travel frequently, you’ll enjoy the extra benefits on offer. Contact CitiCar today to book your next Coolangatta airport transfer.